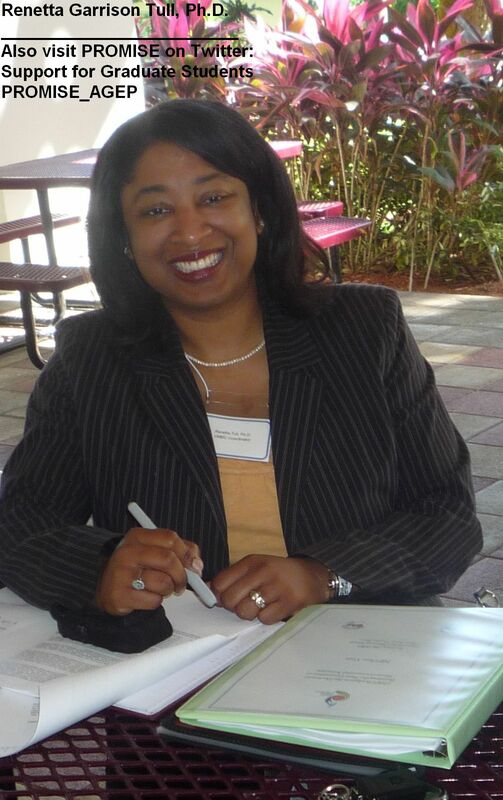 Renetta Tull is Associate Vice Provost for Graduate Student Development and Postdoctoral Affairs (formerly Assistant Dean) at the University of Maryland Baltimore County (UMBC: An Honors University in Maryland.) She is also the Founding Director of PROMISE: Maryland’s Alliance for Graduate Education and the Professoriate (AGEP), a program of the National Science Foundation. Consultations with Dr. Tull at UMBC and in various locations across the U.S. are paid for and sponsored by The National Science Foundation’s PROMISE: Maryland’s AGEP, the UMBC Graduate School, The National GEM Consortium, Universidad Metropolitana (UMET, Puerto Rico), Cornell University, MIT, The Society for Hispanic Professional Engineers, and the Institute for Broadening Participation.